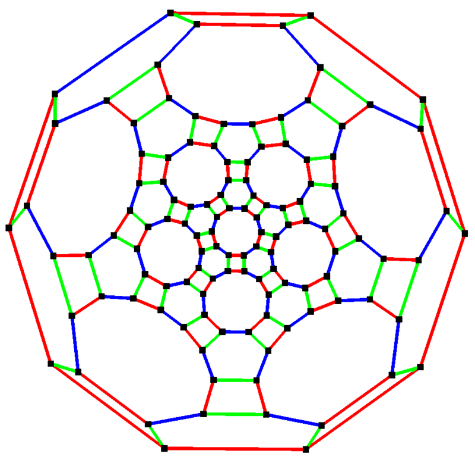 The truncated icosidodecahedron is an Archimedean solid, one of thirteen convex isogonal nonprismatic solids constructed by two or more types of regular polygon faces. It has 62 faces: 30 squares, 20 regular hexagons, and 12 regular decagons. 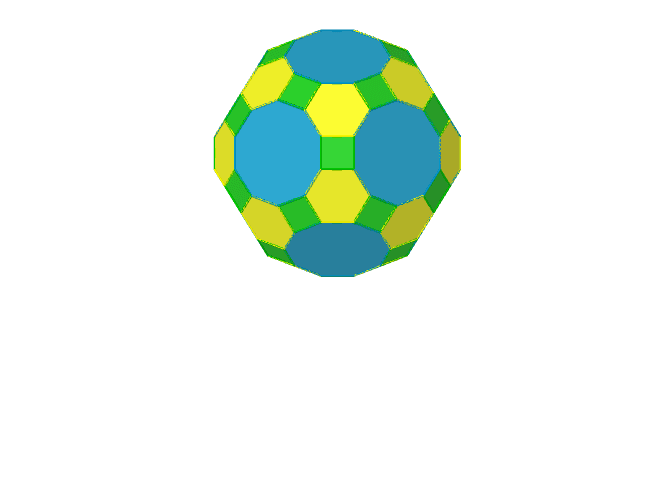 It has more vertices (120) and edges (180) than any other convex nonprismatic uniform polyhedron. The Schlegel diagram shows the configuration of verteces and edges.